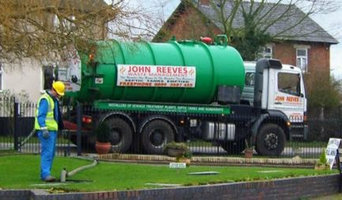 John Reeves is a long established team of drain cleaning experts working in the Telford, Cannock and Lichfield regions. The company use CCTV to check the condition of pipes and jetting equipment to clean and clear blocked drains. This method of cleaning drains is fast and eco friendly. 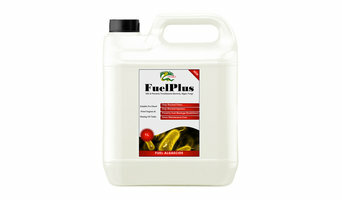 The company also maintain and empty septic tanks with their tankers being able to empty remotely located tanks. 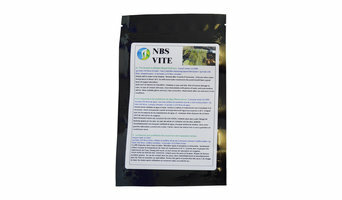 Septic treatments to keep your tank in top condition are also available in the form of sachets. Rainwater Harvesting Systems. Rain water harvesting is the collection, storage and distribution of recycled rainwater, for use in various residential or commercial environments. As an increasingly valuable and sustainable source, rainwater collected from roofs provides high quality water for relevant applications. DC Merrett are a local company offering services of cesspit tank and septic tank emptying, cleaning and unblocking. a septic tanks - an underground tank where the solids sink to the bottom and the liquid flows out and soaks through the ground. a small sewage treatment plant also known as a package treatment plant a part-mechanical system that treats the liquid so it's clean enough to go into a river or stream. These days septic tanks are usually buried underground and out of sight so you won’t have an unsightly tank sitting on your lawn. They will have an inlet pipe connected to your house’s drainage pipes and an outlet pipe leading to a ‘soakaway’ – a field or large area that has been approved to take the water drainage that the septic tank lets out. The solid waste will accumulate at the bottom of the tank as ‘sludge’ and this is what will need to be emptied once it builds up. Septic tank emptying will usually need to happen once a year, which is where waste management and septic tank companies come in. A cesspit or cesspool is similar to a septic tank but does not syphon off the water, and so it will need emptying more regularly. Why would I need to hire a waste management company? Septic tank installation will need a lot of excavation and plumbing work that is best left to the experts. And once you have the tank installed, you’ll need to call waste management companies to carry out septic tank emptying – not a job you’d want to try yourself! If you don’t have a septic tank, you may still need the help of waste management companies if you have blocked drains or drainage problems with your house. They will be able to handle drain clearance and any sewage problems you may have, so you can get back to the more appealing job of dealing with your interiors. Whether you’re working on a new build or a renovation, make sure your septic tank or waste management expert communicates with any other contractors or builders working on the project to make sure there are no complications. Here are some related professionals and vendors to complement the work of septic tanks & sewage systems: Main Contractors, Plumbers. Find septic tank and waste management professionals on Houzz. Narrow your search in the Professionals section of the website to local septic tank, waste management and drainage system experts and installers. Read through professional profiles for information on qualifications and experience with septic tank emptying and waste management.